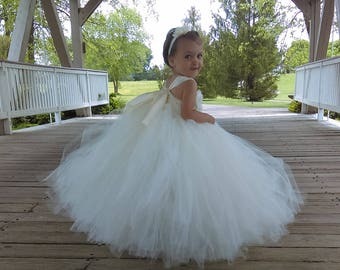 Stunning ivory 'Belle' flower girl dress, ivory sash,French lace, tea length poufy tulle skirt, ivory netting & ivory sash with rhinestone. 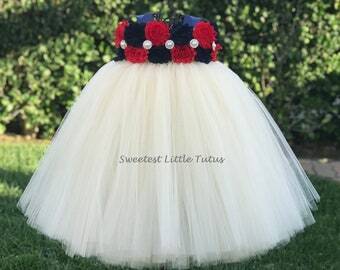 Flower top. 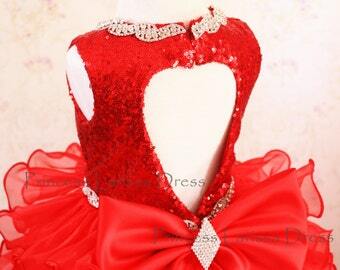 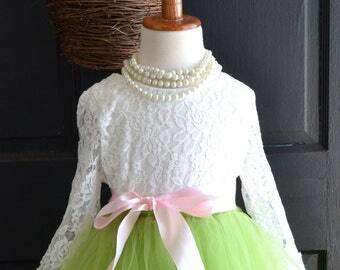 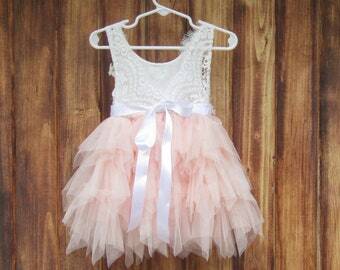 Girls tutu dress. 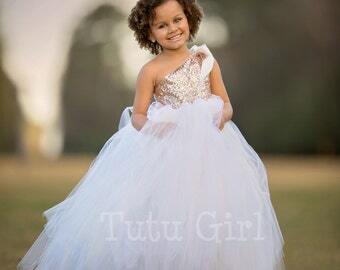 White tutu dress. 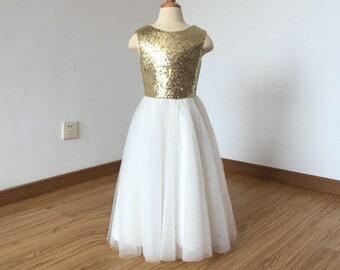 Hydrangea top. 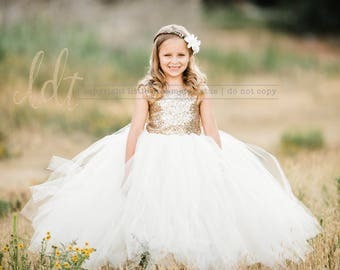 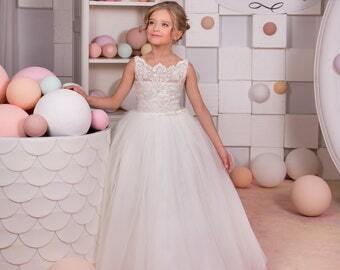 White Flower girl dress. 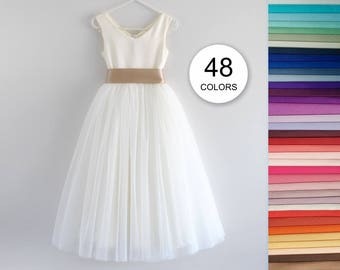 Wedding dress. 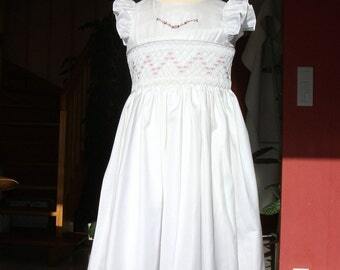 Baptism dress. 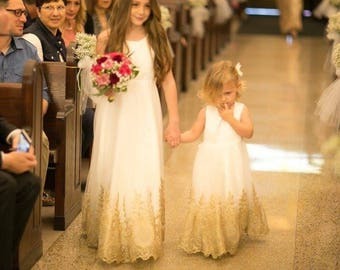 Cascading flowers.